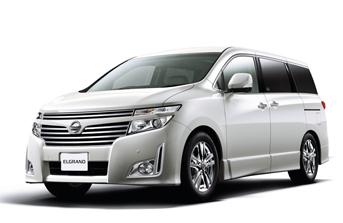 ﻿ NORTHLAND RENT-A-CAR - HOKKAIDO JAPAN | We provide multi-language GPS, extended rental discount for budget car rental in Hokkaido, Japan. All cars come equipped with Non-Smoking and Multilingual GPS. ETC car rental is available for \540. New Chitose Airport Branch and Sapporo Branch pickup only. ※Not applicable for pickup/return at Obihiro and Kushiro and Abashiri. Rental fees include the car rental fee (unlimited mileage), insurance, CDW（Collision Damage Waiver ）and tax. ※ If the car has sustained damage, a NOC（Non Operation Charge）must be paid. When a vehicle that is owned, used and managed by the customer is involved in an accident with the rental car. Damage due to tire chain, ski carrier, etc. Tow Service Each incident will be reimbursed up to a limit of 15km of tow service. When the tow distance exceeds 15km, the remainder cost will be borne by the customer. Emergency Rescue Service When the vehicle cannot be driven due to breakdown or no battery power, up to 30 mins of emergency rescue service will be provided. But if the services do not apply as listed here, or the reimbursement limit is exceeded, the cost will be borne by the customer. The name of the company or corporate entity in the rental contract is the same as that displayed on the name card, employee pass and driver's licence. *When the above conditions are not met, the customer will have to shoulder the cost. *Services provided other than those listed above must be paid for in full on-site by the customer. *Road service is provided by JAF Road Service. When an accident occurs due to violation of the rental contract, or damage occurs during usage, the cost is borne by the customer in principle. After contacting the police, please obtain a Proof of Traffic Accident from the police. Please do not negotiate with the other party at the scene of the accident. This will invalidate the insurance and reimbursement conditions. Regardless of whether the scratches or dents are big or small, or whether there is another party involved, please treat it as an accident. When the car cannot be driven due to the accident, the rental contract is terminated. In this case, there will be no refund of the rental fee. In the event of an incident that occurs outside the operation hours of the rental shop, and tow service is required, please contact JAF. When there is damage or problems to the car due to the accident, please stop driving immediately,and contact the rental shop and JAF. Rental fee includes a waiver of costs to the customer if falling within the insurance and reimbursement conditions (Special conditions / Collision Damage Waiver)are included. *Waiver limit is the cost borne by the customer for to object reimbursement, car reimbursement fee. Rental fee includes Non-Operation Charge(NOC)waiver. © Hokkaido Youth Hostel Association All rights reserved.